In just short of six months, La Cala Resort has implemented a number of improvements that have benefitted not only its sports facilities, but also its dining options and resort management. Both the arrival of Sean Corte Real as director and the hiring of Daniel Peinado, the well-known AOVE chef, have come to be a promising beginning for consolidating resort’s national and international brand. La Cala Resort is taking on the autumn season with exciting developments that will once again bring the resort to the peak of sport, while offering more complementary leisure activities and enhancing its dining options. 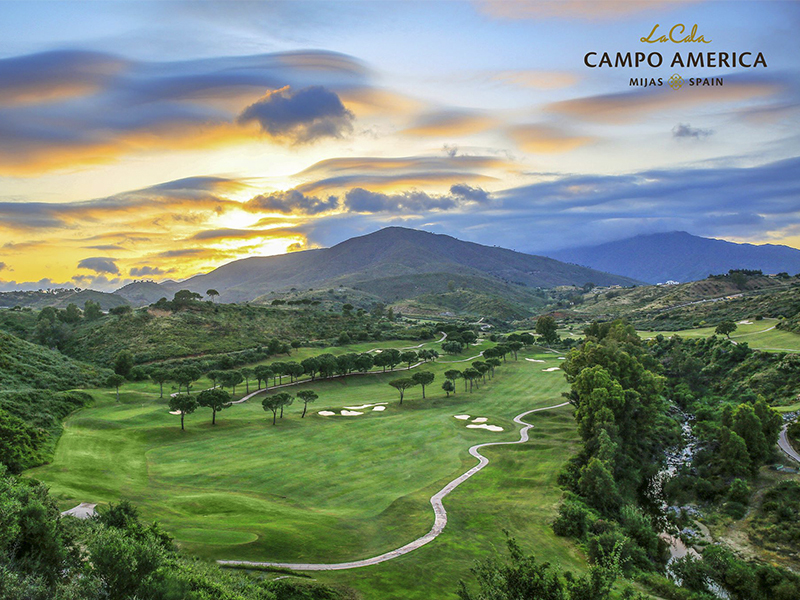 One of the main advances of this new and ambitious stage is the vast improvement made to the Campo America golf course, turning it into “our premium facility”, states the sales manager of La Cala Resort, Noemi Román. A significant investment has been made to improve the facilities and remodel the bunkers and fairways. “The objective”, she affirms, is “to ensure a memorable experience for the player”. Thanks to hard work, “guests will enjoy specialised treatment and added value”. Of course, the Asia and Europe golf courses “will maintain the highest of quality standards, just as our guests are used to”. Similarly, staff will maintain a closer relationship with guests, offering a “more personalised check-in process”. Improvements made on the Campo America golf course include renovating holes 4 and 15 to improve their playability. In addition, the teeing grounds have been levelled and the bunkers have been refurbished by replacing sand in some of them and installing new drains in all of them. The street drains have been cleared prior to the possible retention of rainwater. Lastly, the streets have been equipped and updated for water drainage, “improving the uniformity, strength and drainage capability”, adds La Cala Resort’s sales director. In other relevant news, Dani Peinado, the famous AOVE (Extra Virgin Olive Oil) chef, was recently hired to help polish the dining options at the resort’s three restaurants. “Each restaurant”, states Román, “will have its own touch”. The Casa Club offers “quick and casual but healthy cooking, while La Bodega offers Andalusian-inspired tapas with virgin olive oil as its base”. In terms of La Terraza, the most gourmet option of the three restaurants, the philosophy comes from AOVE-based cuisine “with hints of global culture, since most guests are international”. In the effort to facilitate access for golfers, La Cala Resort will provide free transfers to the Golf Academy starting in September. This service will extend to all guests (not just those staying at the hotel) who would like to practise before or after their golf games. The free transport service will operate on the same schedule as the academy.